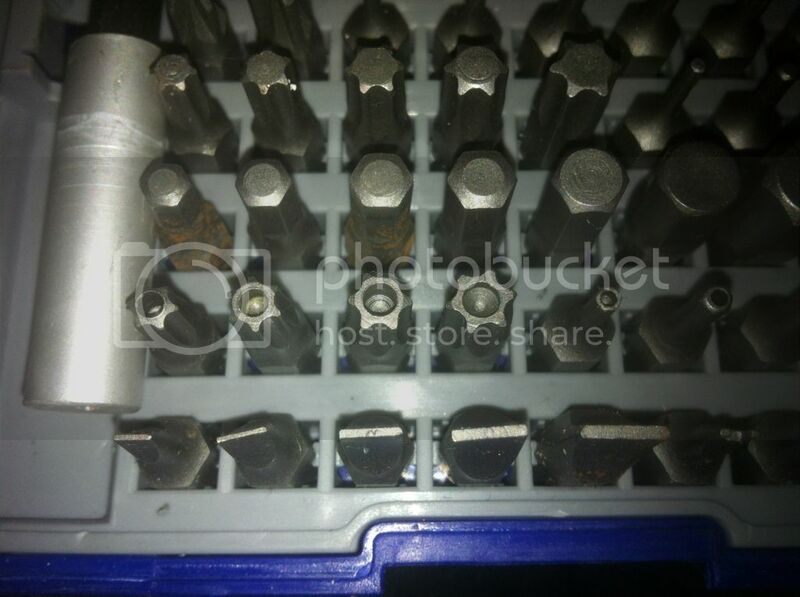 Those require a 'security' bit to remove properly, unless you have something like a Dremel tool and can either cut a slot in the head or drill/grind down the centre pin without damaging the torx splines. Security bits kits can be picked up at all manner of tools suppliers. How's this appeal to you ? can drop them off with you tomorrow......................she wants to go to Ikea!!!!!!!! !